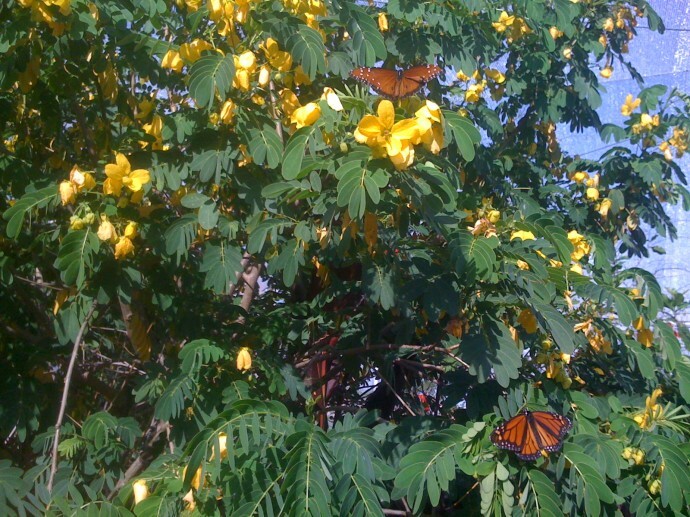 Butterfly Magic at EPCOT | Florida Hikes! On my first visit to a big butterfly conservatory – the Key West Butterfly and Nature Conservancy- stepping into the swirl of winged beauties, flowers, and inspiring music, I felt like I’d stepped into the movie Bambi. Right now at EPCOT, during the annual International Flower & Garden Festival, a Bambi-themed butterfly house is one of the don’t-miss stops as you roam the colorful gardens, now cloaked in summer blooms. Filled with music from the movie and a bright array of butterfly-attracting blossoms, the butterfly house evokes the wonder of stepping into animation. It’s one of numerous inspiring spaces throughout EPCOT during the festival. Storybook topiary and floral sculptures grace the gardens throughout Future World and World Showcase, with your favorite characters rendered in shades of green, yellow, and red. Topical displays provide pointers on low-flow gardening, outdoor rooms, and growing veggies in small spaces. Inside the festival pavilion, sponsor HGTV is broadcasting numerous shows live while Florida growers show off our state’s bounty, from honey and orchids to mushrooms and peanuts. The enchantment of the floral displays scattered throughout EPCOT means more for the children to enjoy, too, including a spider’s web to prowl and Pixie Hollow – filled with blooms, delicate pixie houses, and topiary friends of Tinkerbell – to clamber and slide through.